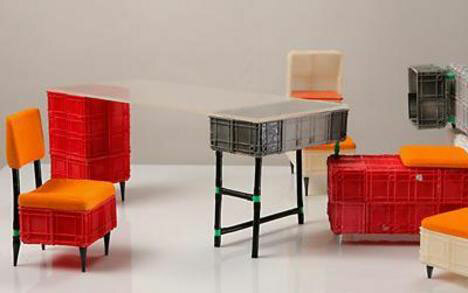 Recycling doesn’t have to be limited to sorting cans and bottles into bins to be sent to a recycling plant to be turned into new cans and bottles. 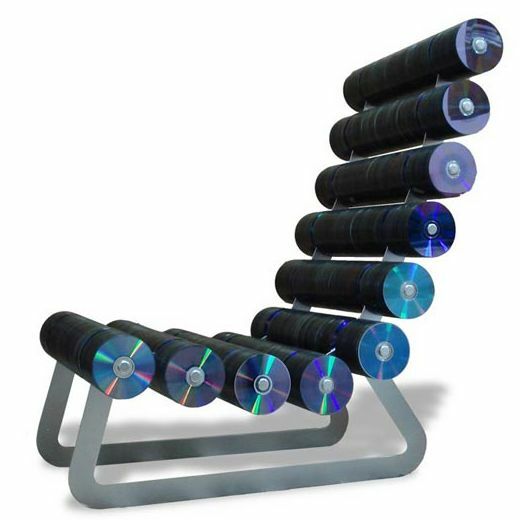 Recycling can be about using existing materials to make something completely new and original, often with a function completely different from the good’s original purpose. 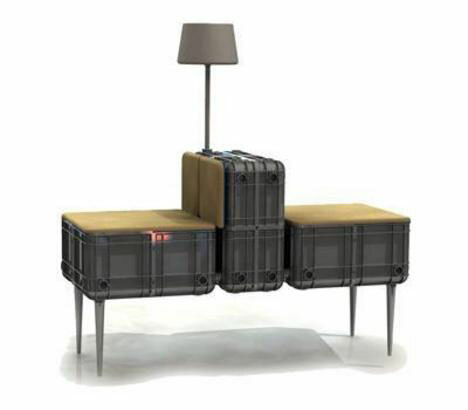 Furniture designers have capitalized on this notion to dream up some incredibly creative and unpredictable results for use around the home. 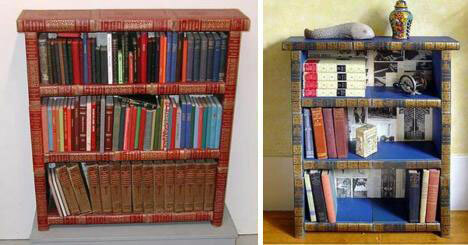 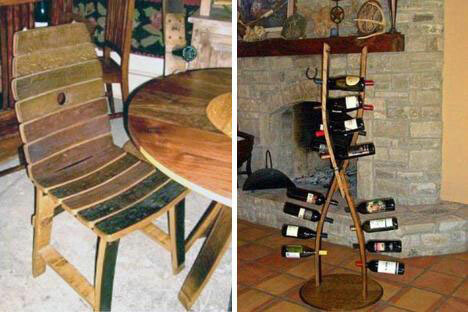 Barrel Designs specializes in a wide array of furniture crafted from “retired” barrels once used to contain wine. 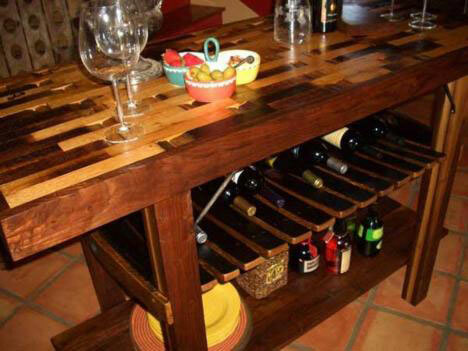 The oak wood used in the barrels is reshaped in a number of creative ways to create new pieces ranging from tables and chairs to fixtures used with the wine the barrels once held, such as racks for bottles and serving bars. 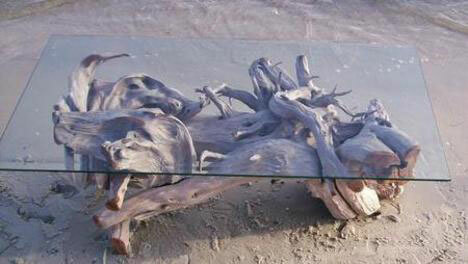 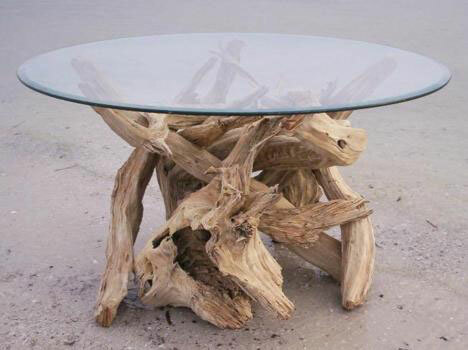 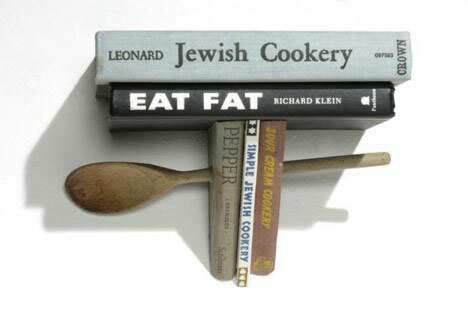 Artist Carl Woodland creates unique furniture pieces using pieces of driftwood he finds on the beaches of Texas and California. 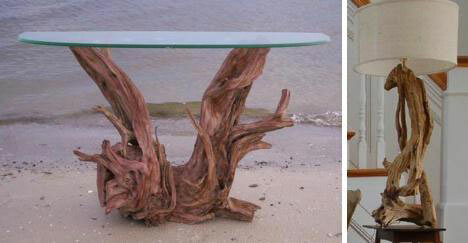 His most common work is in glass-topped tables, but he also creates lamps and artwork out of the material. 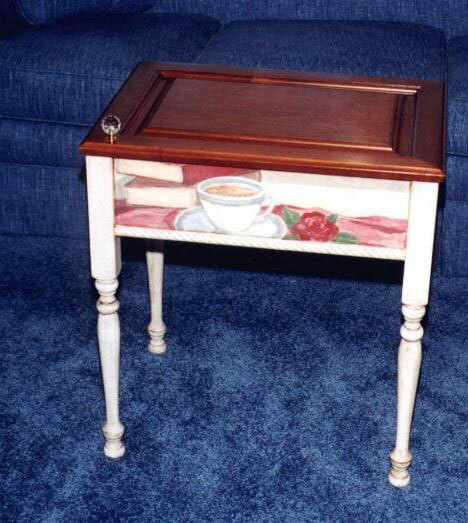 More Than a Door specializes in creating tables using old cabinet doors as tops. 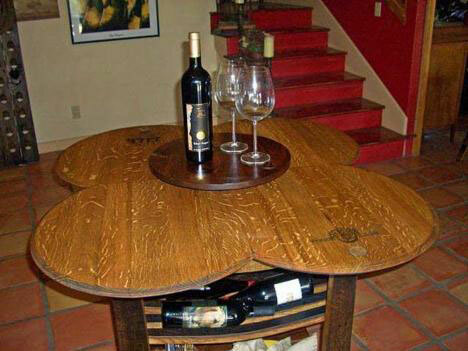 The table tops open to reveal storage space beneath the door, creating a multifunctional piece. 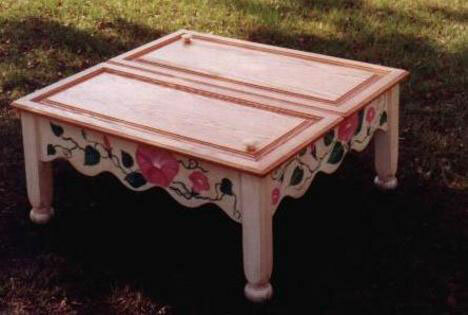 The tables are also custom hand painted to fit a wide variety of decors. 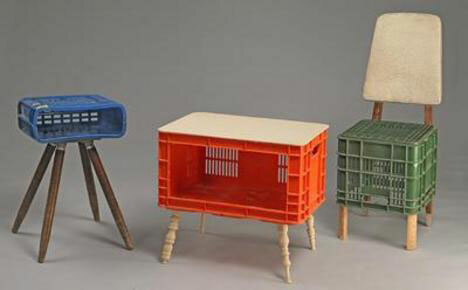 Some recycled furniture designs lack practicality, but are nonetheless impressive because of the scale of the task the makers undertook. 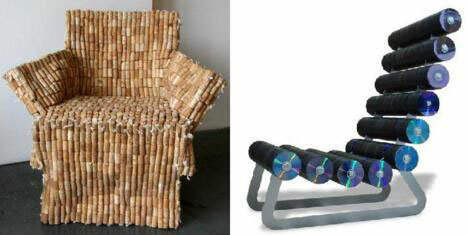 Examples of this include two chairs created out of hundreds of small items: one made out of wine corks by designer Gabriel Wiese, and the other made out of compact discs, by designer Belen Hermosa.